When Gary & I got to Italy, we didn’t always want to eat out so we soon figured out that when you want “take out” you tell the restaurant or cafe you want “take away”. We found a place close to the train station that has a FANTASTIC takeaway. 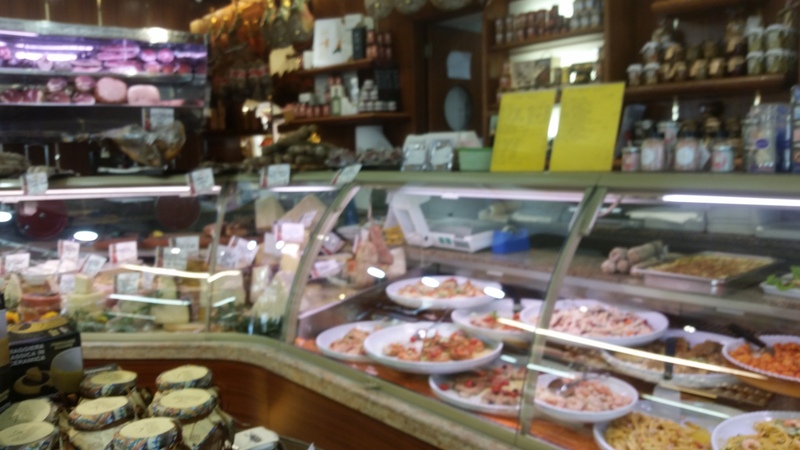 The name is Salumeria Garibaldi and it is located on the corner of Via Garibaldi and Strada Guido, Pilo Albertelli. They have portions ready to go and they pack your selection in a container and seal it. We have a limited kitchen with no oven so many items we just can’t make ourselves. We have had their stuffed pork tenderloin with artichoke, Osso Bucco, fava bean salad, pumpkin potatoes, chicken and quite a few desserts! They are reasonable in prices and the people are very nice and helpful. It is a great place if you find yourself in Parma looking for “take away”. We give it 5-stars! !